Double fabric accented across the front of the foot makes this shoe dance with versatility. Choose a contracting color for the accent straps weaved through the center cut frame for a custom design or pick a solid color as shown. A closed in heel is uniquely embellished on the outside center seam with a top stitched over lay of fabric for additional contrast; finished off by a single strap around the ankle held by a beautiful rhinestone buckle. 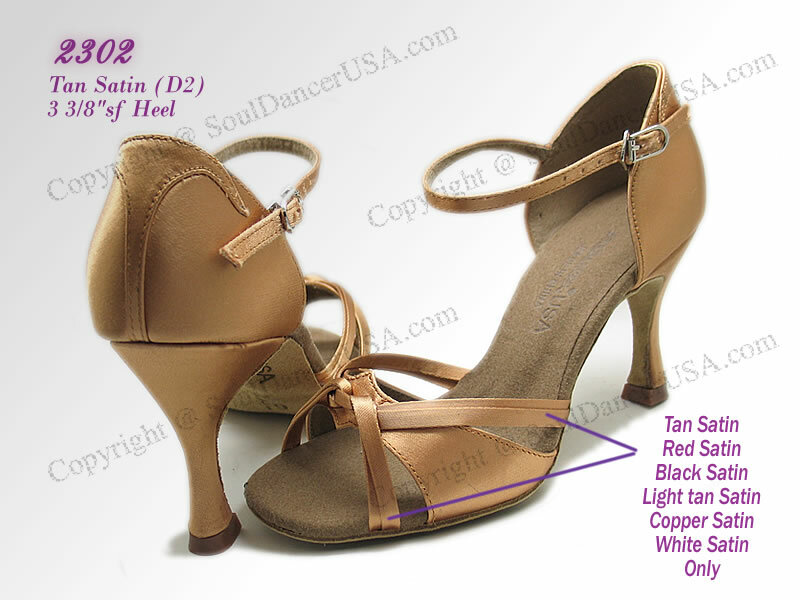 Picture shows in Tan Satin(D2), 3 3/8"sf heel. The thin straps at front are available in Black satin, light tan satin, tan satin, copper satin, red satin and white satin only.